Hey Guys.. How are you all? I am doing fantastic. These days my focus is to organize everything around me. I am giving my 100% to manage my time as per the priorities I have. I am organizing my stuff and clearing the mess; such that I get more space to work. To manage my time, I use planners. Somehow my old planner was over couple of months back and I did not buy another one. Honestly I am too lazy to go out and shop any anything off line and this is the reason why I did not buy the new planner; as the earlier one which I was using was a gift from Papa. And I couldn’t see a good planner online. 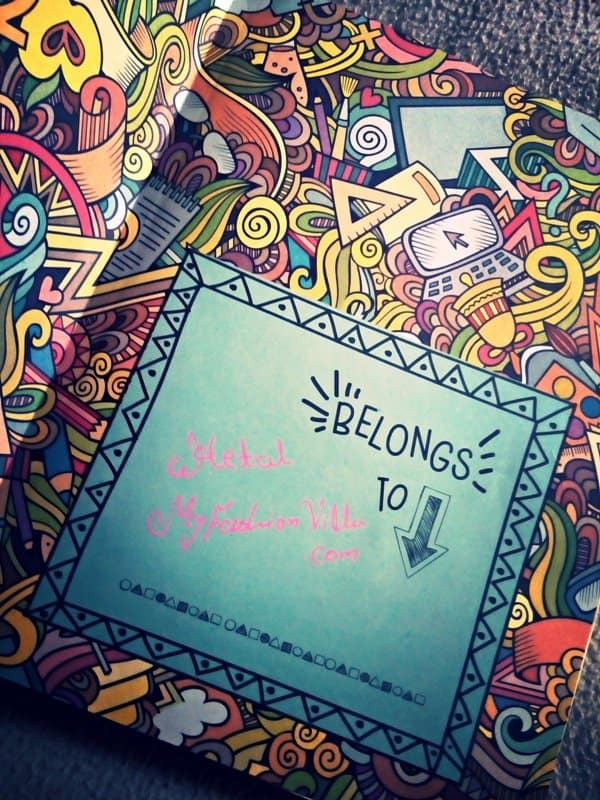 And Then I got chance to know about Doodle Collection Diaries And Planners. 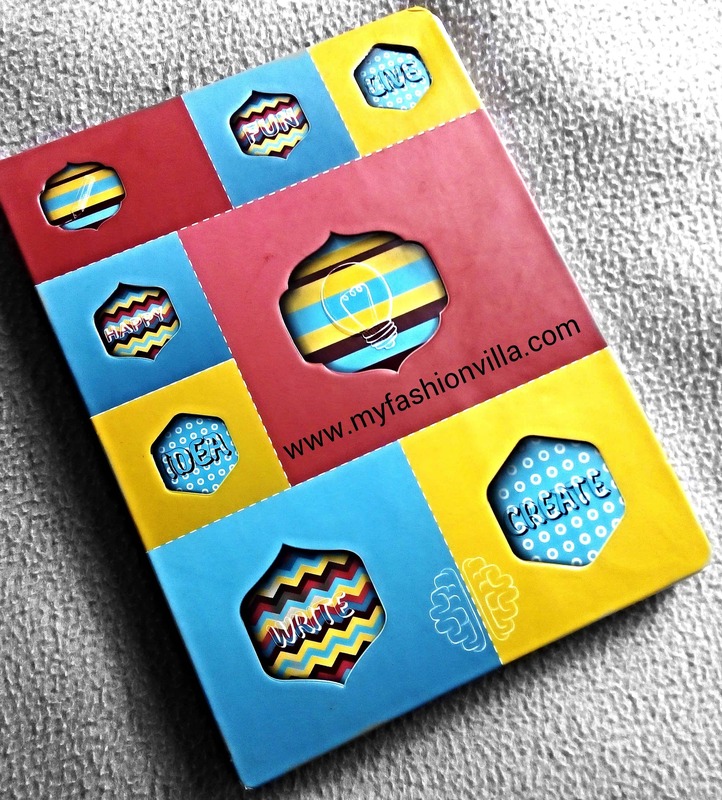 Immediately I Googled about this brand and I saw, that the diaries and planners from this brand are available on Flipkart, Amazon and AskmeBazzar. Cool.. !!! And I got mine a couple of days back and I started using it immediately. I keep notes and use calendar in My Phone but let me be honest; I don’t enjoy mobile thing as much as I enjoy working with planners. So, this is my Doodle Thought Bubble Planner Diary by Doodle Collection. MRP: Rs 495 Available at Discounted Price on Doodle Collection Website, Amazon, Shopclues, AskmeBazaar etc. What You Can Do with Planners? Well, there are many ways you can use a planner. And let me tell you, it is totally worth to invest in Good Planner. So.. This is How I use my planner to plan each day. (1) At night everyday, I give myself a one side of page in a planner to write about the day I spent. I have divided that one side of page in two parts. In first half of the page, I write about “What I had planned for the day” and in the 2nd half I write about “What I accomplished in a day”. In last 2-3 lines, I write 2-3 points; which I have learned from the day spent. (2) “Gratitude Notes” work always. I am so sure about it. So the last sentence I write in that page is: “Thank You Life for Giving me an Amazing Day, I have learned, And I will improve and make tomorrow bigger and better”. These are the exact words I write at the end. These words are not taken from anywhere else (online/offline) but I like to end my day with joy and fulfillment so I thought and framed this sentence. You can make whatever you feel and like. I just wish it should be positive and you can go sleep peacefully. (3) Now on the next page, I make “To Do” list for the next day, which I review next morning immediately after I take breakfast. 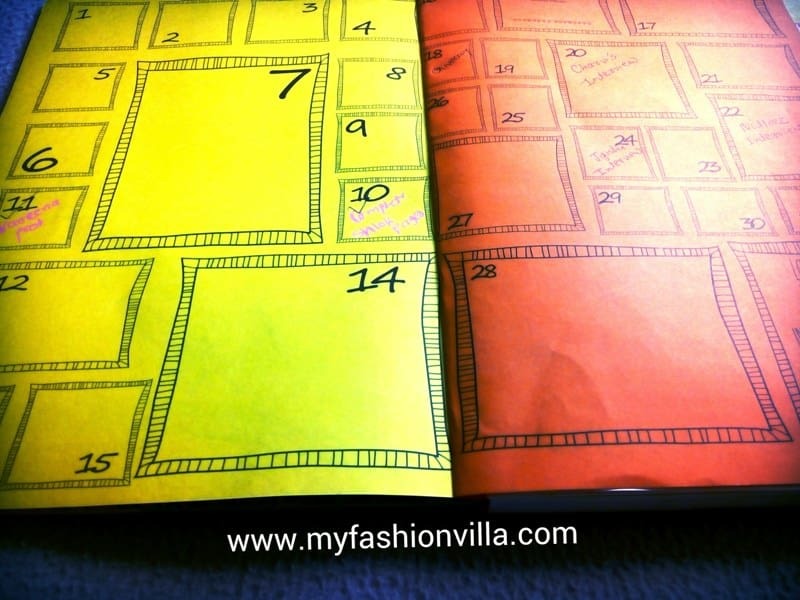 (4) Now this planner has “Calendar” for every month. I fill that calendar for the meetings, scheduled post, assignments I do, meetings, events etc. So that I don’t miss anything. So, that’s How I use my planner. 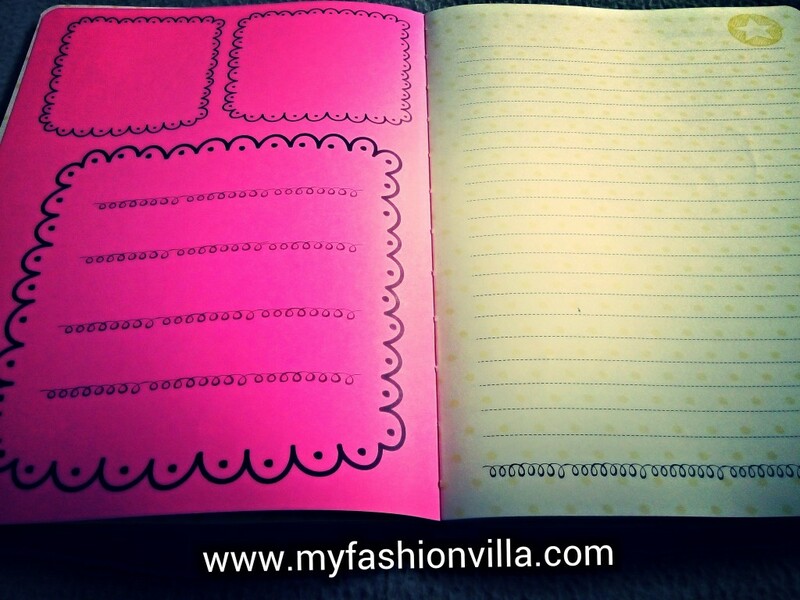 I love this Doodle Thought Bubble Planner Diary from Doodle Collection. I am so happy that I found this amazing brand. 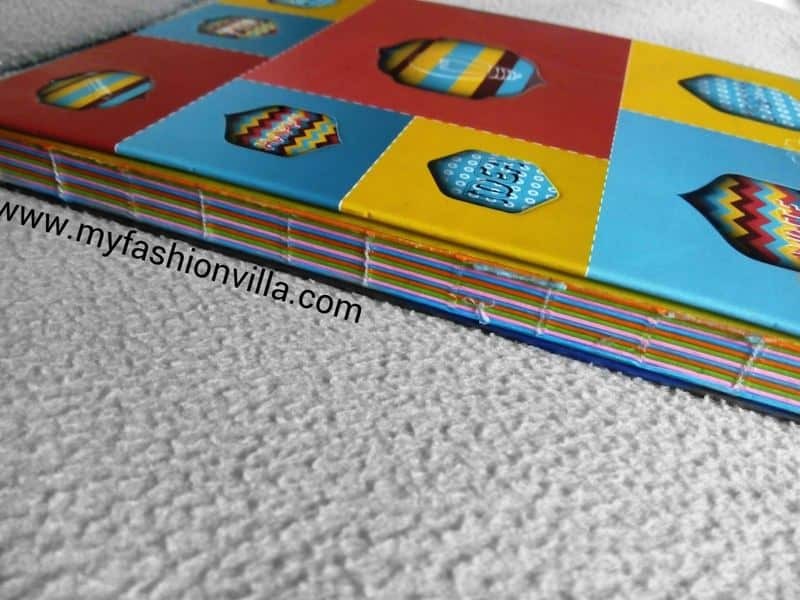 And they have some cool diaries for those who love writing things. I am huge… huge.. fan of hand written notes; so I am a fan of dairies and planners and I like to collect them and switch them time to time 😀 And this one is one my favorite now which I use every day. Just Follow below steps 🙂 Its quick and very simple. 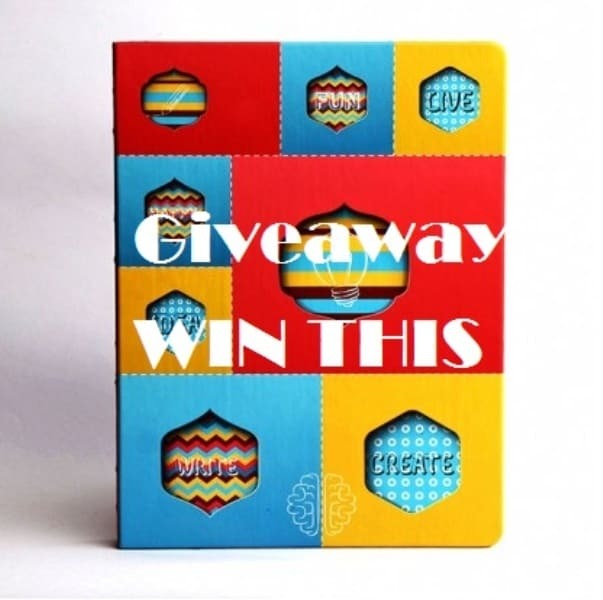 Winner Will be announced on 3rd September.